Billet standard size crank pulley with bolt in sand seal. Hard anodized black for maximum durability plus laser engraved degree numbers and marks. 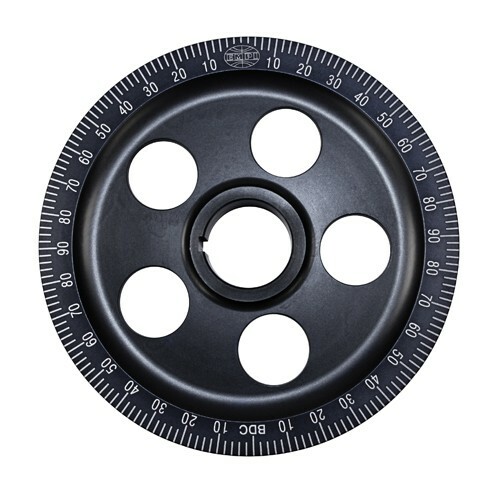 Includes 00-8695-0 Colllar and seal.